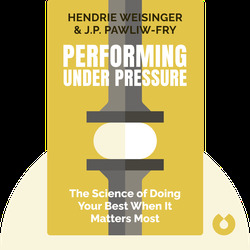 Performing Under Pressure by Hendrie Weisinger & J.P. 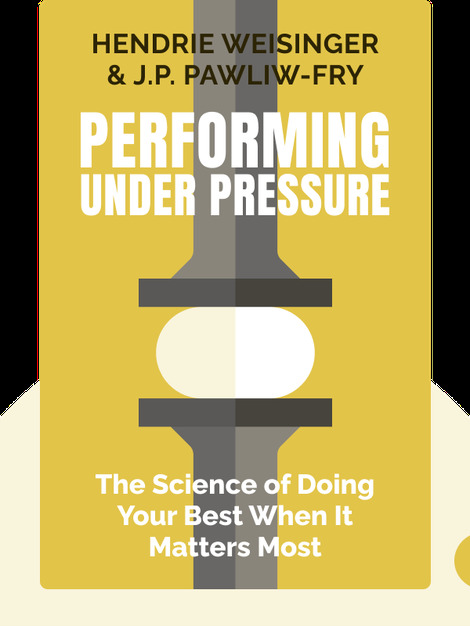 Performing Under Pressure (2015) offers a guide to building confidence and overcoming high-pressure situations to achieve your loftiest goals. You’ll discover why it’s difficult to perform when the stakes are high and learn practical strategies to help you conquer performance stress. Hendrie Weisinger is a psychologist and pioneer in the field of pressure management as well as a bestselling author. J.P. Pawliw-Fry is a performance coach who advises Olympic athletes and business executives. He is the president of the Institute for Health and Human Potential, a global research and learning company that trains organizations and leaders to best perform under pressure.